The chase is on for nineteen-year-old Tarian Prescott after narrowly escaping an air strike on the Entente Military Academy. 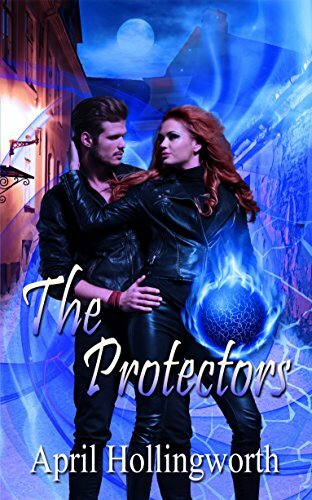 His rescuer, Audrey, a fierce fighter and beautiful immortal, may be the only person he can trust to save his life. Taken to the magical hidden village of the Guardians of Dare, he learns the truth about his father, his immortal DNA and his beloved nation, the Entente. Tarian discovers he is the first immortal to be born in over 500 years, and now someone hunts him for his precious DNA. With only days to train and develop his immortal gifts, he struggles both physically and emotionally, balancing the truth he must keep secret from his family and girlfriend with the duty of saving not only himself but also his kind and his homeland. If he and Audrey fail to find the killer and maker of the Death Serum, all immortals will die, and the government will lose its greatest asset. First Born’s popularity is growing steadily on Goodreads with high ratings and reviews. Love and betrayal weave into the fast-paced adventure set in a future North America on the brink of a border war. It is capturing the teen and adult audience with thrilling action, complicated characters, clever historical references and twisting plot revelations. Tarian lives what seems to be an ordinary life, that is until his father passes away and he is sent to Entente Military Academy. He grows close to Audrey, his Cadet Sergeant, when she rescues him from an attack on their military base. Together they travel to a Guardian of Dare village. It is here that Tarian discovers he is anything but an ordinary person. He is an immortal, the first born since the 1500s. His DNA holds the secret, one that could save all immortals…and he is hunted for it. In the wrong hands, the power of his existence and the knowledge it brings could create great danger for the humans. Death serum…that is what they call the mysterious solution that was used to kill his father. Tarian and Audrey set off on a journey to find who was behind this killing and those that continue to come to light. The adventure is extremely challenging, physically and emotionally. Friends become enemies, trust is not given freely. Will Tarian and Audrey uncover the truth? Who can they trust…if anyone? Can Tarian come to terms with who he is and overcome the challenges he faces? This book is packed to the brim with action, bursting at the seams. The author cleverly writes in plot twists that you never see coming. Plot and character development are well done. Each character brings a uniqueness to the story, developing as it is told…turning the plot with it. The world building in this tale is phenomenal. Janelle built an immersive world where immortals live among us and the reader can picture vividly the actions that take place. I loved this book and would recommend it to anyone who loves a novel that brings not just a story, but an adventure!